Investigators are searching for a serial shooter responsible for two murders and four shootings within the past nine days in Southern Nevada. Authorities believe the serial shooter is responsible for murdering two homeless people near downtown Las Vegas last week. 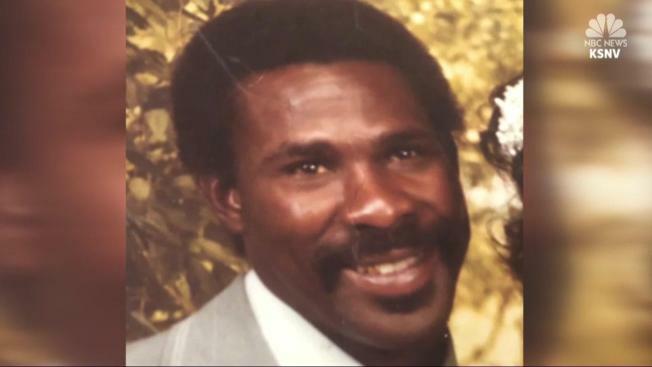 Surveillance video captures the February 2 murder of 64-year-old James Lewis, a homeless man who was shot and killed execution-style while he slept underneath a bridge. "This is just eating me up that I won't get the chance to hug him and put my arms around him," Oneida Lewis-Baker said. Baker had been searching for her father for 20 years when they moved to Las Vegas from Colorado. She never imagined the Vietnam veteran would end up on the streets or that he would be murdered while he slept. She returned to the site of the murder to retrieve his few belongings and the blankets that kept Lewis warm at night. Lewis is one of two homeless men murdered in cold blood just days apart.